In this episode, we talk about creating daily rhythms and routines that help you intentionally make time for the things you want to fit into your days that might otherwise never happen. We also chat about doing things that refuel us rather than drain us further. Plus, our current favorite things! Here are all the links, pictures and freebies for you that we talked about in the episode. Way of Life app. Laura loves using this app! It's perfect for helping you easily keep track of whatever you are working on. If you want to keep track of when you meditate, read or even floss, you'll want to try this out. Our latest FREEBIE for you. This is a good one! 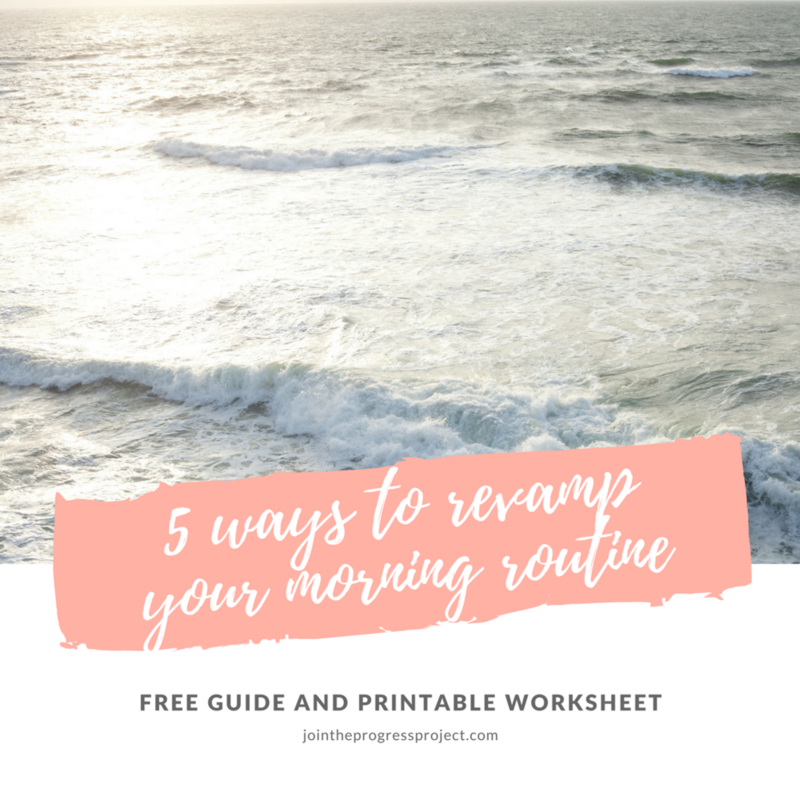 It has some really great tips and then a one page worksheet that helps you design the perfect morning routine that works for you! Just click HERE or on the image below. Make sure you head to Instagram to tell us your thoughts and questions on this topic.